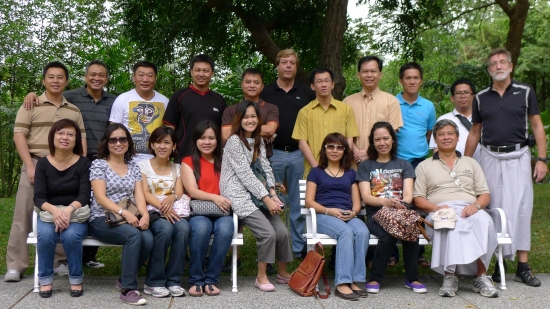 The BM Food Ingredients Group held its annual regional meeting in Hua Hin, Thailand from 7th – 9th December 2011. More than twenty colleagues from Thailand, Singapore, Malaysia, Indonesia, Vietnam, Myanmar and The Philippines were in attendance and the meeting opened with a review of the performances of the various countries by Executive Director, Mr. Oliver Meyer. Mr. Meyer was extremely pleased to be able to report on all the progress and accomplishments that have been made in all countries over the years and then urged everyone to constantly strive for further improvements and innovations in order to meet the new challenges over the coming year. He outlined his vision and strategies to prepare and equip the group to reach new heights and to add further value to customers, principals, suppliers and the company. Participants from the various countries then made presentations on their own respective markets and also exchanged information and ideas during the workshop. The meeting was highly productive and helped to strengthen the feeling of optimism about both future business prospects and the direction the group was taking. The participants left in a positive mood – and are looking forward to meeting up with each other again next year.